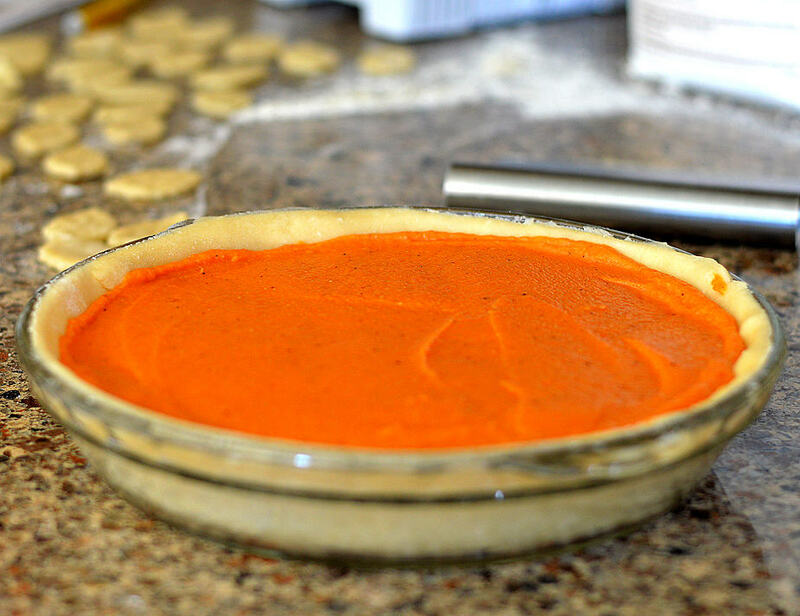 I have been wanting to create a Vegan Sweet Potato Pie for a long time now. To create a dairy-free, egg-free pie is somewhat of a challenge, but it can be done. Enter Silk® Almondmilk which I reduced by 60% creating vegan evaporated milk. I also used Silk® Almondmilk to prepare a “flax” egg. This is simply 1 Tablespoon of ground flax and 3 Tablespoons of the Almondmilk. Allowed to sit and thicken, it forms a gelatinous mixture similar in texture to an egg. By the way, even those little marshmallows are vegan! I’ll also give you a few other topping suggestions below. Silk® Almondmilk has a mild, nutty taste and is my personal choice for use in cooking or baking, even in shakes and smoothies. I’ve also used it for making soups and it works beautifully. I found Silk® Almondmilk at my local Scottsdale, AZ Walmart in the refrigerated section. 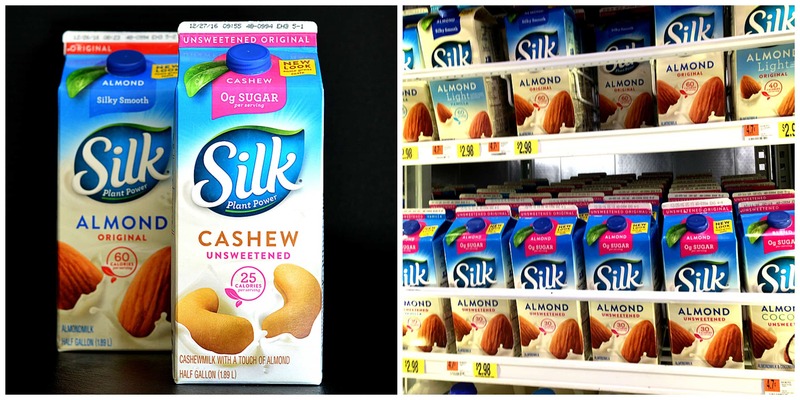 I also picked up a half gallon of the Silk® Cashewmilk, another one of my all-time dairy-free favorites. It’s smooth, creamy and did you know that Original and Unsweetened Cashewmilks have fewer calories than skim milk? In addition to being Non-Dairy, they are also Non-GMO and Gluten Free. It’s in new packaging but with the same great taste you’ve come to know and love! I used a standard pie dough for the crust. It’s fairly forgiving (thank goodness) and offers a bit of excess dough for decoration. Be sure to add your pureed filling first. I am admittedly, not a pie crust expert and when I found these pie cutters, it was the perfect option for me. They work just like a cookie cutter, but then you lightly press the plunger to get these awesome impressions. A little water acts like glue as I attached them to the pie. Looks like I spent a lot of time on this, but really…it took just a few minutes and I think it adds to the aesthetic of the finished pie. Now let’s talk about toppings. For my main topping, I chose these little vegan (yes, they are vegan) marshmallows. I placed them on top AFTER baking and under the broiler it went for about 2 minutes. 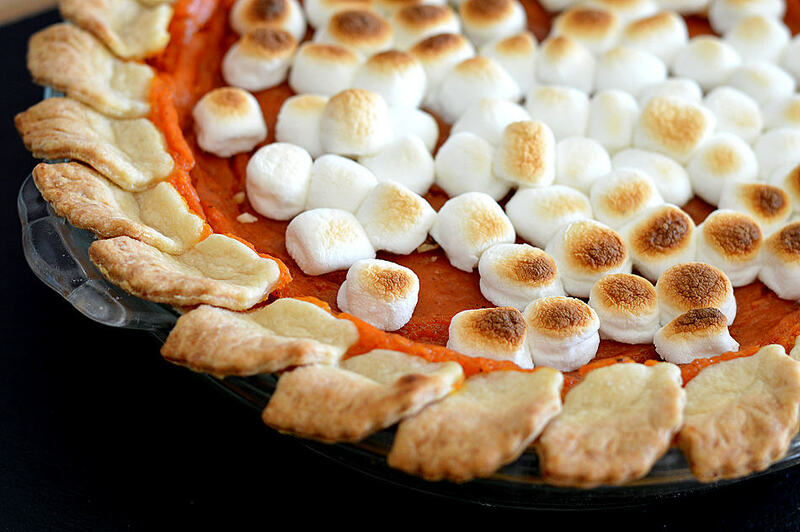 I can’t even explain to you how delicious the combination of these ooey, gooey marshmallows were with this Vegan Sweet Potato Pie. I mentioned alternate toppings and here are two. The first is a coconut whipped cream. You can find my recipe here. It’s simply canned coconut milk and sugar whipped into cream. 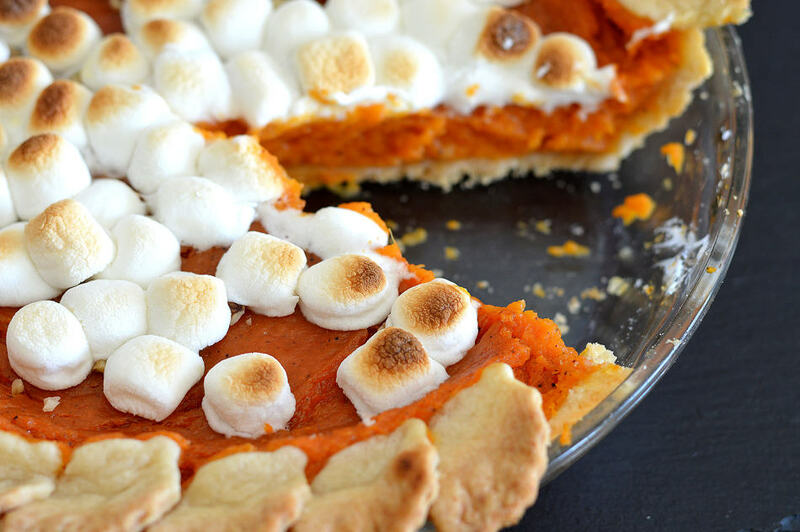 It pairs beautifully with this pie. Another topping I love to use is Pecan Streusel. For this one, I like to add it near the end of the baking time. 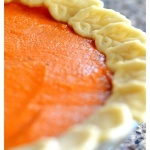 This allows the sugar to melt and caramelize, but the topping won’t sink into the sweet potato as it bakes. I’ll include it in the printable recipe! And there you go! 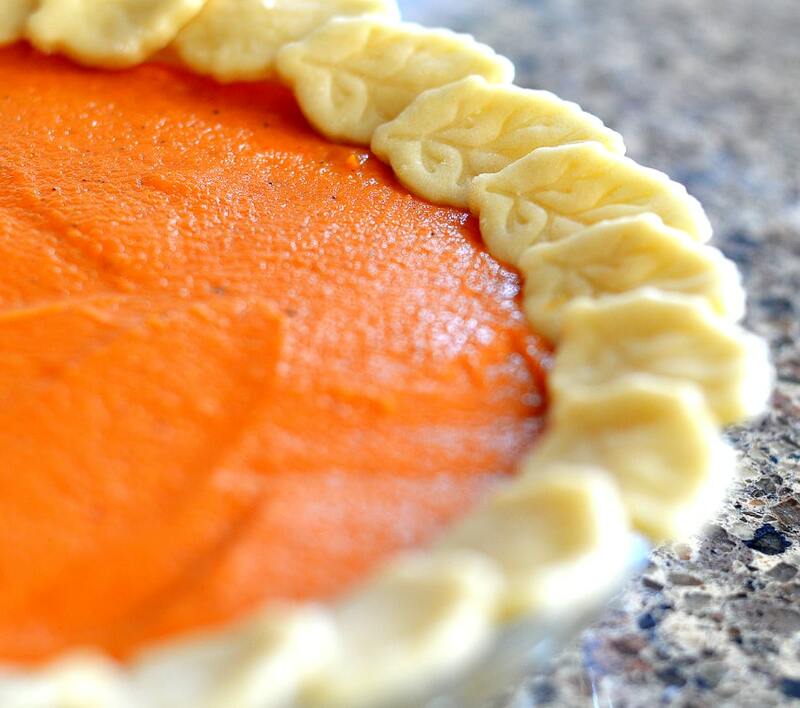 A dairy-free, egg-free VEGAN Sweet Potato Pie. For more recipes, visit Silk®. Begin by boiling the sweet potatoes. At the same time, add the Silk® milk to a medium saucepan and over medium heat, reduce it by about 60%. It should look more like cream than milk at this point. A good indicator is when you can use a spatula and when you scrape the bottom, you can see the pan. It will thicken more as it cools. To prepare the flax "egg", simply combine ground flax with Silk® Almondmilk and allow to sit in the refrigerator. It will thicken and become gelatinous just like an egg. Next, let's prepare the pie dough. I like to use a food processor which makes easy and quick work of getting things combined. Place all ingredients (except the ice water) into the processor and pulse until coarse crumbs form. Slow add one Tablespoon at a time through the feed tube. You may not need it all. The dough should just come together. Do not overwork the dough. Wrap in plastic and chill while you prepare the filling. In a clean bowl, add the sweet potatoes to the food processor. Add the margarine, sugar, nutmeg, flax "egg" and vanilla. Process until very smooth. Lastly, add the baking powder and the evaporated Silk® Almondmilk. 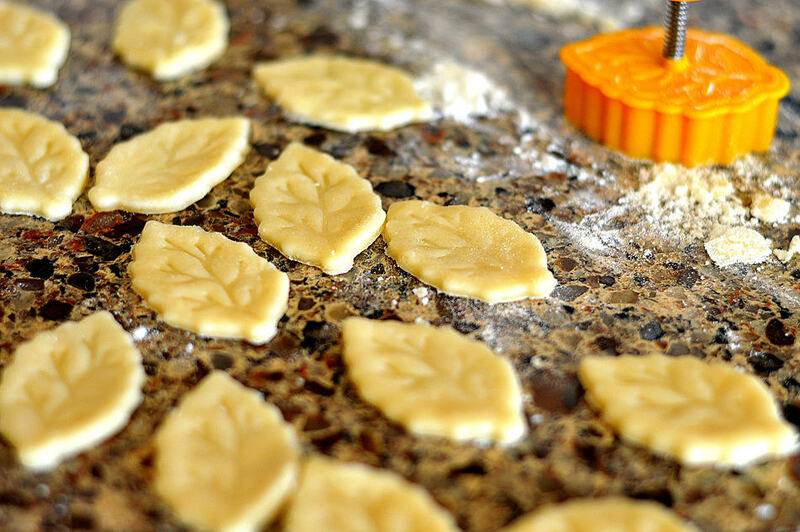 On a floured surface, roll out the dough and if desired, make cutouts with the remaining dough. Place the filling in before decorating. You could also just crimp the edges of the dough. If making decorations, keep a close eye so they don't burn. I don't brush them, but you could use some of your Silk® Almondmilk and sprinkle with sugar. Again, take care not to burn those edges. Bake at 350 degrees for 55-65 minutes. If you need to cover the decorated edges, you can do so with foil. The pie should be set, a knife inserted coming clean. The top will be lightly browned. Cool to room temperature and chill, if desired, before serving. Top with coconut whipped cream, vegan marshmallows or pecan streusel topping. If you liked this recipe, please hover over the picture below to PIN it! Baked my pie for 2 hours; it never set. What did I do wrong?